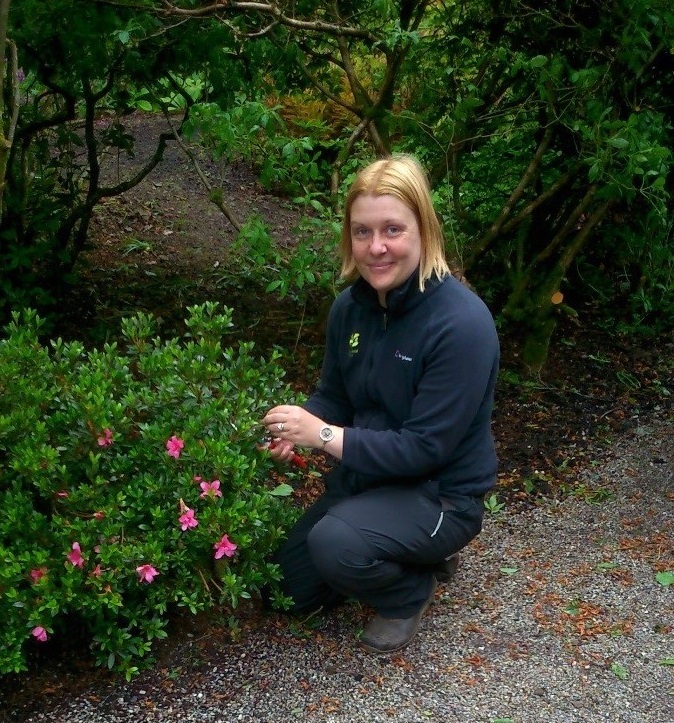 Emma Robertson began her career with the National Trust as Senior Gardener at Knightshayes Court in Devon, looking after the Formal and Woodland Garden. In 2015 she moved to Castle Drogo where a big Heritage Lottery Funded project was underway to restore the house and gardens. Castle Drogo is a 20th-century castle, built between 1911 and 1930 by Edwin Lutyens in a style that was very modern at the time. As part of the project, detailed research into the garden’s history was commissioned to understand Lutyen’s equally modern garden. During the research, the original border plans were found, showing the precise planting schemes developed by 1920’s plantsman George Dillistone. When Emma took over as Head Gardener, she became responsible for seeing these designs reinstated, restoring paths, hedges and shrubs to their original dimensions and planting up wonderful colour-themed borders. Emma works with a team of four gardeners, all of whom are dedicated to seeing the garden look as good as Lutyens and Dillistone originally planned. Together they have brought the gardens back to life and have turned an empty garden building into a beautiful room where visitors can find out all about their work.